New data reveals a surge in South Africa’s black middle class which has more than trebled over the past 12 years, while the country’s white middle class has shrunk over the same period. 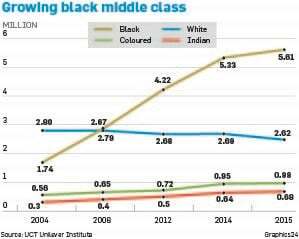 City Press reported over the weekend that the black middle class is up to 5.81 million, citing University of Cape Town marketing professor, John Simpson. 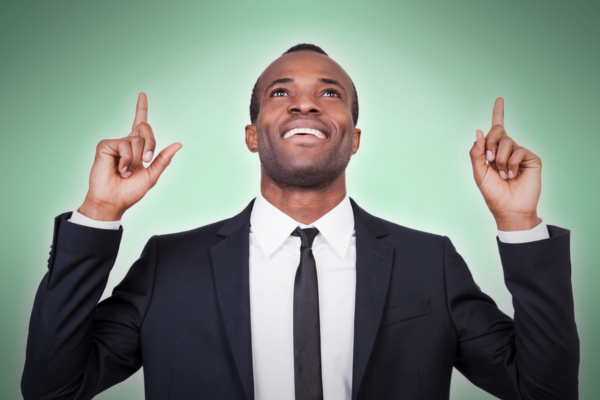 “The black middle class is keeping the economy alive … There has been an explosion of the black middle class,” he said. According to Simpson, factors driving the surge include greater access to credit, improved education levels, BEE and improved economic growth until recently. He noted that since 2004, the number of black middle class members with a tertiary qualification has grown by more than 2 million. An earlier report published by UCT Unilever Institute of Strategic Marketing in 2013, found that South Africa’s black middle class had more than doubled from 1.7-million South Africans in 2004, to 4.2 million in 2012. The latest data showed that the country’s white middle class meanwhile, has shrunk from 2.8 million adults in 2004 to 2.6 million adults in 2015. Simpson attributed this decline to many young South Africans having left the country, especially Jewish South Africans, which has seen its population drop by 75% since 2004. Statistics SA revealed in a report in April that the young white population group in South Africa had declined substantially in recent years. Data out in April from New World Wealth, showed that the number of black millionaires in South Africa had almost tripled in the last eight years- while white millionaires had declined significantly. NWW’s data showed a net-gain in millionaires from previously disadvantaged backgrounds of 2,600 high net worth individuals (HWNIs), while there was a net decrease in white millionaires of 10,900 individuals. About 45% of all HWNIs in the country are from previously disadvantaged groups (including black, Indian and coloured South Africans), with white South Africans still making up the majority. According to NWW, since 2007, the number of previously disadvantaged millionaires grew by 179%, from just 6,200 individuals that year, to 17,300 individuals in 2015. – Previously disadvantaged individuals include black, Indian, coloured and Chinese South Africans. On the other end of the scales, white millionaire numbers decreased in the country, slipping from 36,600 in 2007, to 21,200 in 2015 – 42%.